There is a different intensity when you get to visit abandoned places, especially if it’s in Europe. The country is famous for castles and many towering mountains and many other gorgeous natural beauties. Some of these abandoned places may look creepy, but there are also those that are astounding. Here are 100 of them. A.k.a. 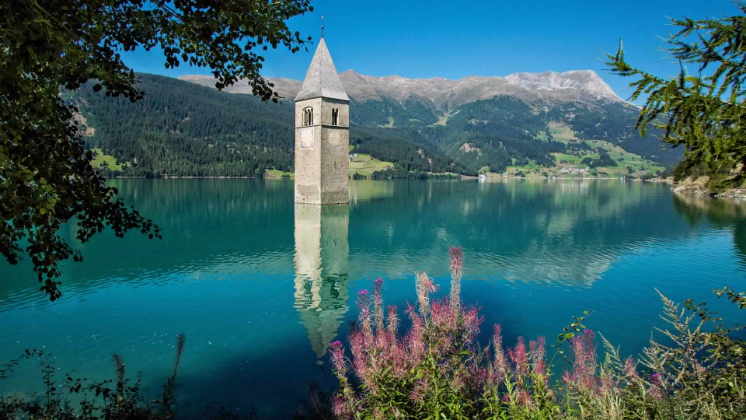 Reschensee to the Germans and Lago di Resia to the Italians, Lake Reschen is a human-made lake located in the Vinschgau Valley, in the western portion of South Tyrol, Italy near the Austrian border. It’s famed for the 14th-century temple submerged in the lake. The steeple can be reached on foot when the water freezes.